Home Quick Cure 16 oz. Fast relief for ick and protozoan parasites effectively treats ick, mild fluke outbreaks, protozoan parasites, costia, chilodonella and trichodina. 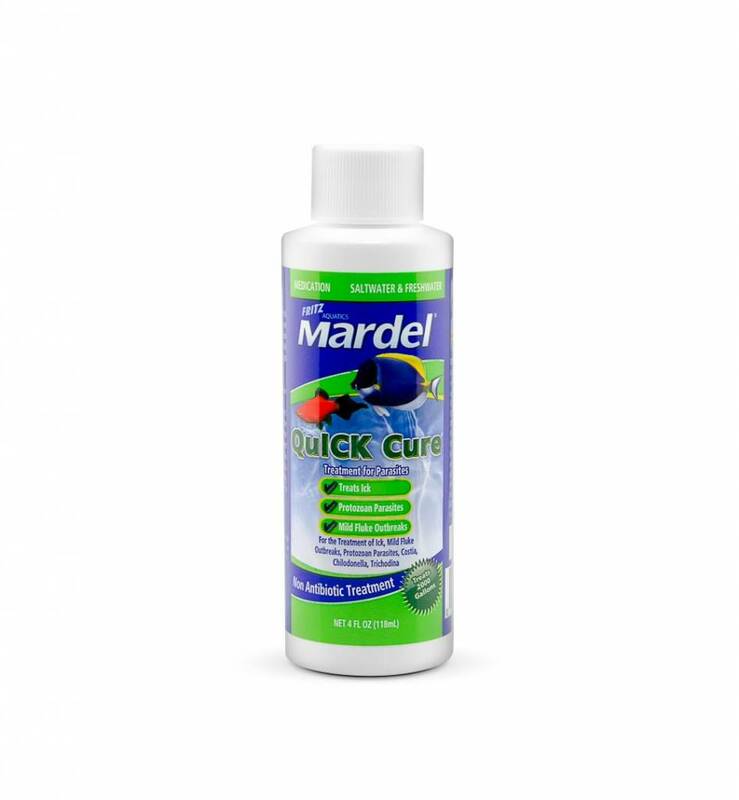 Mardel Quick Cure is a scientifically formulated liquid medication that cures ick in two days and cures lymphocystis in one week. 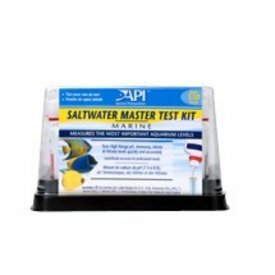 For both fresh and saltwater use. SHAKE WELL BEFORE USING. SQUEEZE BOTTLE GENTLY. Before administering any medication, it is wise to check your water quality levels to ensure they are within their acceptable levels. Remove carbon from filter before use. Add 2 drops per gallon daily (do not discontinue filtration) for all fish except those in the tetra group. FOR TETRAS: Add 1 drop per gallon daily. FOR MARINE FISH: Add 2 drops per gallon daily in a bare aquarium. Replace carbon 24 hours after last treatment. Maximum dosage: 3 daily treatments. If further medication is required, perform a 25% water change before administering another treatment cycle. Water will turn blue during treatment. This is a temporary condition and will disappear in a few days. 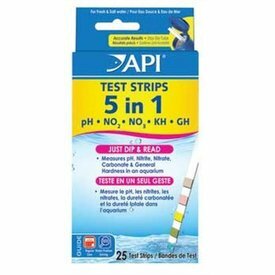 Change 50% of water if fish show any signs of distress during treatment or an accidental overdose of this product occurs. Can discolor silicone in glass aquariums. Note: Consult a veterinarian or fish expert for assistance in diagnosis of disease causing organisms and treatment options. 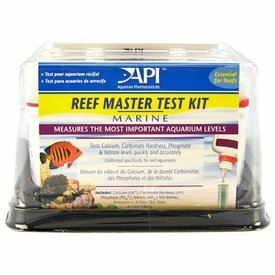 The REEF MASTER TEST KIT tests 4 key parameters to keep reef inhabitants healthy.